Dr. Jill Stein, the Green Party’s candidate for president, just wants someone to like her. The function she served in this election, thus far, is to preemptively blame progressives if Trump gets elected. 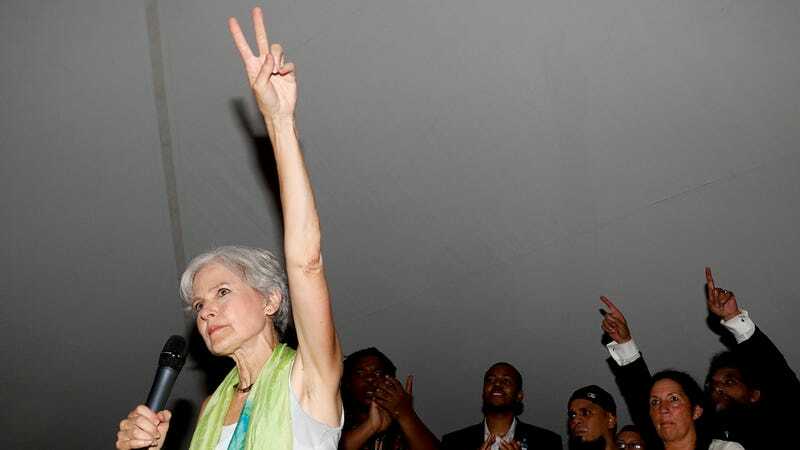 It’s unfair to criticize Dr. Stein for merely running for president, even in a tight race like this; there’s no inherent evil in making a futile attempt to dismantle the two-party system. Except one Twitter account saw that Jill Stein deleted her initial response to The Decemberists frontman Colin Meloy’s question about her stance on vaccines. Neither response completely disavows the idea that vaccines cause autism, but changing the language of her response further illustrates her subtle pandering to the anti-vax constituency. She could’ve just tweeted “Vaccines don’t cause autism” but chose not to. Dr. Stein’s refusal to discredit anti-vaxxers makes her Harvard medical degree look like a certificate from the New York Chiropractic College. Word, Dr. Stein, let’s do it. Just say the medically accurate thing about vaccines and we’ll move on.